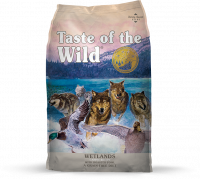 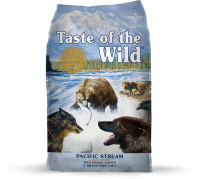 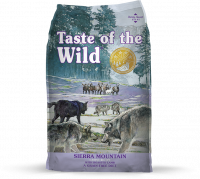 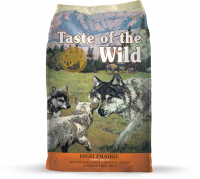 Taste of the Wild only makes premium, grain-free formulas based on your pet's ancestral diet and desire for fresh protein. 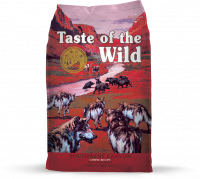 Their DNA specific recipes rely on quality ingredients such as roasted meats, vegetables, legumes, fresh fruit and probiotics that maximize the nutritional health benefits for your dog, cat, or puppy. 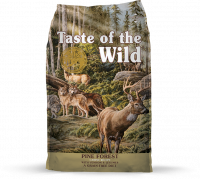 These grain-free recipes provide a superior taste sensation, highly digestible energy and antioxidants to support a healthy immune system. 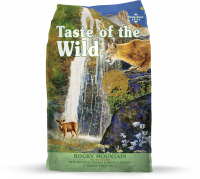 Specialty proteins such as venison, bison, buffalo, quail and lamb are found within their variety of dry and wet food options. 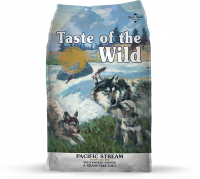 Check out their awesome options for puppies as well!